what is africa 4 tech ? #Health #Energy #Education #FoodingAndMaking are critical challenges in Africa, but not only ! Each of these themes will be addressed from a digital and reverse innovation standpoint and analyzed by key-experts through both their scientific and technological aspects. Our speakers and consultants will provide the participants a 360° view of each field’s main challenges based on a state of the art, trends as well as a prospective vision. Co-curated by Africa 4 Tech’s team and its scientific committee, ratified by our advisory board, our programme ensures scientific & technological excellence as well as an exceptional high-quality training. By gathering recognized and future innovators from across Africa with multinational companies, we help innovators to scale-up and large companies to better understand local markets and cultures. By cross-fertilizing experiences and expertises, we challenge decision-makers with frugal innovations. Through our open-innovation work formats and digital talks, we ensure to train decision-makers and make them responsible for the future of african innovation. DISCOVER THE RESULTS OF THE 1ST A4T OPEN INNOVATION BOOTCAMP ! EDTECHHow can digital innovation in Africa help designing tomorrow's long life school ? E-HEALTHHow can e-health in Africa help solving worldwide issues ? AGROTECHHow can the African leapfrog help accelerate the global transformation of the agriculture sector ? ENERGYHow can e-health in Africa help solving worldwide issues ? Africa 4 Tech is a growing community ! A former student of Celsa-Sorbonne and early advocate of African techs & Open Innovation, Stéphan-Eloïse Gras was the coordinator for digital cooperation and prospective at the Institut français (French Foreign Affairs Ministry) where she developed from 2011 to 2014 "Digital Africa", a forum for digital industries in Sub-Saharan Africa. 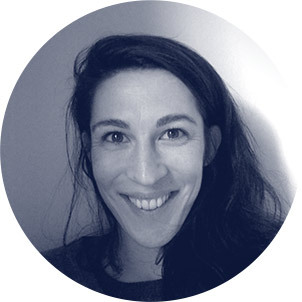 Also a postdoctoral researcher at the Digital Humanism Chair (Humanum) of Sorbonne-Universités in Paris, she's interested in digital cultures, literacies and their globalization. Her PhD dissertation "Machines du goût et écoute en ligne" about music API & deep learning algorithms is published by Hermann and La Philharmonie (Paris, 2016). She was a fellow researcher at Brown University (2010), NYU (2013) and worked for the Regional Cooperation between France and South America in Buenos Aires (French Foreign Affairs Ministry) from 2006 to 2009. 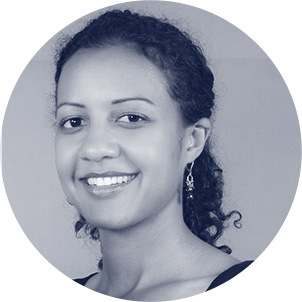 In 2014 she founded "L'Oreille", a collective of open innovation consultants & creative technologists and "Africa 4 Tech". 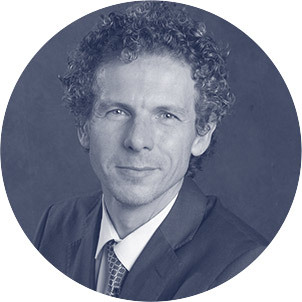 Born in 1967, Gilles Babinet is a serial-entrepreneur, especially in the digital industry. He has created 9 companies since 1989 in various areas of activity : Building, analyze of business data or mobile music. 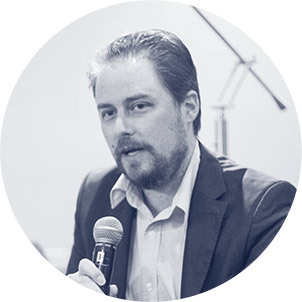 He is also "Digital Champion", in charge of representing the Francecountry at the European Commission for digital issues, and wrote many books about the challenges of the Big Data. Thierry Barbaut is in charge of the communications, crowdfunding and digital strategy at the Agency for Micro Projects www.agencemicroprojets.org, an NGO partner of AFD (French Development Agency). He is also the founder and Chief Editor since 2009 of four African media outlets including www.info-afrique.com. This media, with a team of 6 in Paris and 72 correspondents in Africa, aims at highlighting the development of Africa and its economic perspectives with a special focus on new technologies, culture, economy and finance, sustainable development, society, women, tourism, urban planning and infrastructure. Stéphane Eboko is a Cameroonian-Nigerian entrepreneur and a mobility-addict. 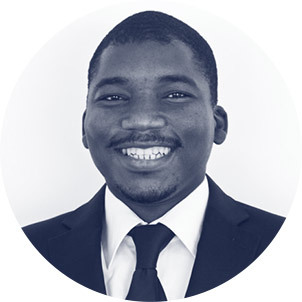 An advocate for technology as a mean to fulfill Africa's economic development, he's been active at the intersection of entrepreneurship and innovation across Africa (in Ethiopia, Zimbabwe and Kenya). 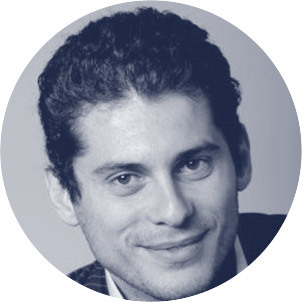 Stéphane is a Director at Skye Hi Ltd, a technology company developing smart city solutions in emerging markets. He also co-leads Ma3Route, Kenya’s premiere web and mobile transit information platform, solving mobility issues in key emerging cities. As a CEO, his role focuses on business development, user acquisition, revenue growth, as well as strategic partnerships. He holds a BSc. in Management Business from La Sorbonne University (Paris) and a Masters in Public Policy from Sciences Po Paris. 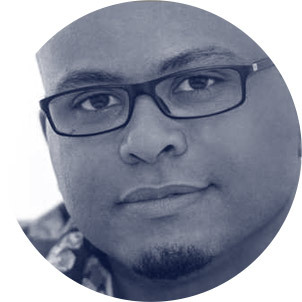 Max Agueh is currently Dean of Studies at ECE TECH Paris (Graduate school of Computer science), France. He received the Ph. D. degree from the Université de Nantes, France, in 2008. He also received the Master's degree in Electronics and the Master of Research in Electrical Engineering from Ecole Polytechnique de l'Université de Nantes, France, in 2003. He was a research engineer with Philips Research Laboratories (PRL) Redhill, United Kingdom, in 2003. From 2004 to 2007 he worked as reseacher with Institut de Recherche en Electrotechnique et Electronique de Nantes Atlantique (IREENA) Nantes, France. During this period, he has been a visiting Research Fellow at Communications and Remote Sensing Laboratory (UCL-TELE) Louvain-la-Neuve (2004 and 2006), Belgium and at Université Cheikh Anta Diop de Dakar (ESP - UCAD) Dakar (2005), Senegal. From 2007 to 2013 he was an Associate Professor at ECE Paris (Graduate School of Engineering), France, in the LACSC laboratory. His main interests concern signal, video and image processing for wireless communication and networking applications, including data protection issues. He is also enthusiastic about exploring transversal subjects such as eLearning, Telemedicine and eHeath, Smart Grid Energy. Max Agueh is involved in different ICT development projects in Africa and is member of the technical and scientific committee of the International Conference AFRICOMM. He is also the Founder & President of the Think Tank ETIC-AFRIK (An advocacy Think Tank for Energy & ICT development in Africa). Bontle Senne is a South African writer, literacy and literary advocate. As a writer of fiction for children and teenagers, she was the shortlisted for the 2014 Golden Baobab Children's Literature Prize – Africa’s largest children’s literature award. Bontle was also the prize’s inaugural Media Fellow in the same year. In the education sector, she has had frontline teaching experience in secondary and tertiary education institutions and driven national educational outcomes via improved access and quality of literature, curricular design for languages, and stakeholder alignment in the non-profit sector. 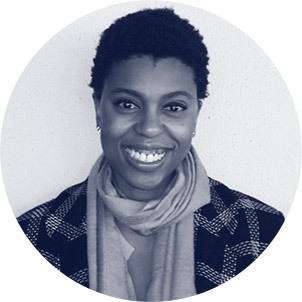 Bontle is currently a Board member at READ Educational Trust, one of South Africa’s oldest and largest education NGOs, and the innovative Puku Children’s Literature Foundation, working to bridge the digital and literary divide throughout South Africa. Bontle is also a part-owner of feminist trade publishing house Modjaji Books. 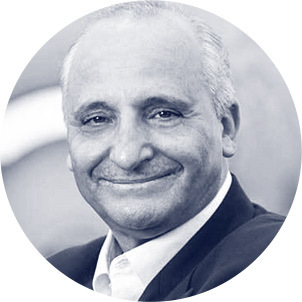 Samir is currently System & Infrastructure Middle East &Africa Vice President within ALSTOM. French & Algerian national with 16 years of experiences in international & multicultural business context. Leading & building highly collaborative teams in the industry (Energy & Transportation) with strong technical & innovation dimensions, he promotes & implements Ethic & Integrity through responsible business practices. Dancer and Judoka during his youth, he’s also titular of a Civil Engineer degree from ESTP (Ecole Spéciale des Travaux Public – Paris), has been to Alstom Senior Management program in INSEAD in 2013 and to the CHEDE (Cycle des Hautes Etudes pour le Développement Economique) in 2016. Expert in Renewable Energy, Samir gathers Young African Innovators (YAI) for Africa-4-Tech. After a degree in Art History, Eva Moari obtained a diploma in cabinet making from the Ecole Boulle, where she was trained in cabinetry. Passionate about design and production, she went on to work for a music label and later for a fashion research studio (in Antwerp, Belgium) before devoting herself to digital and multimedia production in Paris, where she developed her skills in the field of innovation and emerging technologies. 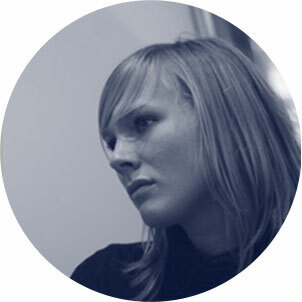 Eva has been a member of Open Bidouille Camp, an organization dedicated to DIY productions, since 2012. She seeks to put into practice the diverse knowledge she acquired over various types of production experiences by applying it to projects which will have an important impact on tomorrow's world. 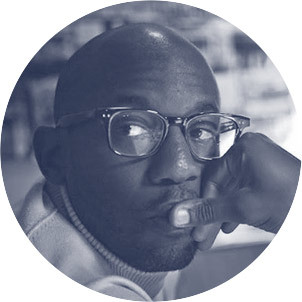 Ben Williams works at the crossroads of books and tech. He founded Books LIVE (www.bookslive.co.za), South Africa's pre-eminent books website; is the former books editor of the Sunday Times, South Africa's largest weekly newspaper. He is also the former Head: Books & eCommerce at Times Media, one of South Africa's largest media companies. He is currently working on several boutique projects related to ebooks, apps and websites with Ilex Omni. 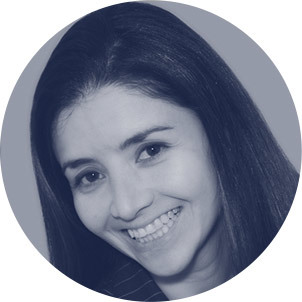 Sonia Morales is a Senior Business Manager, with over 14 years of international experience, specialized in management consulting and business management. She has lead and participated in several global business transformations across various industries. Colombian, holder of an MBA and currently based in South Africa implementing an Educational Technology (EdTech) social idea. 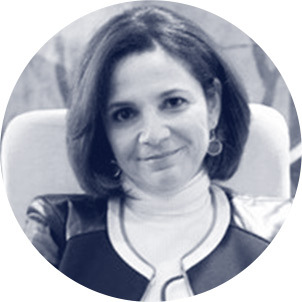 Sonia´s expertise expands towards Program Management, Stakeholder and Change Management, Business Management, Learning and Knowledge Management, Leadership, Business and Process Improvements and Entrepreneurship. She is passionate about social development, education, environment and empowering youth and woman, therefore she is regularly supporting and advising pro-bono entrepreneurs, ideas and projects in those realms. Navi is Indian-born French national, he is an innovation and leadership strategist based in Silicon Valley. 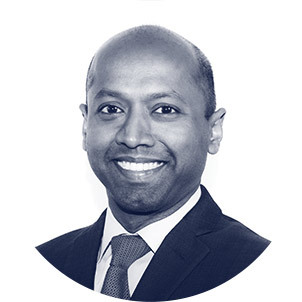 A Fellow at Judge Business School, University of Cambridge, Navi has served on the World Economic Forum’s Global Agenda Council on Design Innovation and contributes to Harvard Business Review online. Navi won the 2013 Thinkers50 Innovation Award and spoke at TED Global 2014. 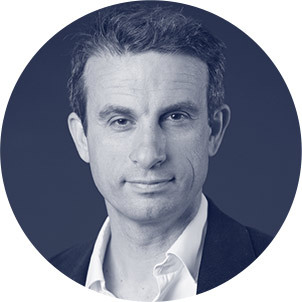 He is ranked as one of the 50 most influential persons shaping innovation in France. He is the coauthor of Frugal Innovation: How To Do More With Less, which won the CMI Management Book of the Year 2016 Award. Bertin Nahum was born in Senegal on November 14, 1969 . He holds an Engineering Degree from the National Institute of Applied Sciences (INSA, Lyon, France) and a Master of Science Degree in Robotics from Coventry University (United Kingdom). 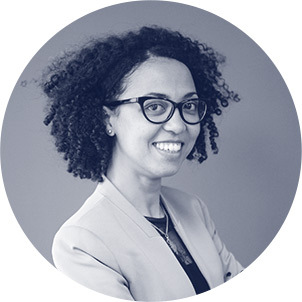 Abla Benabdallah is currently director of the Human Capital of SNI, a Moroccan investment fund with a panafrican approach. She’s titular of a degree of Paris Dauphine University, even if she begins her career in the banking sector, she joined in 1997 the ONA Group to work in human ressources, project developement and communication. She created its Firm University, to enhance knowledges and professional experience transmission. Moreover, she’s involved in diverse movements such as Societhics. 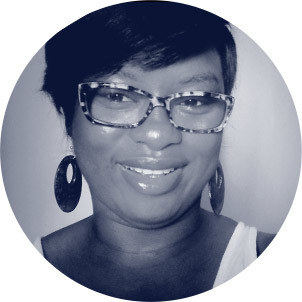 Winner of the second prize of the Ivoirian national poetry competition, Huguette joined online reading clubs and launched digital groups where African women can share opinions on women rights and sustainable development. She’s also the director of the short documentary “Tranche de Femmes”, presenting common African women achieving amazing projects for their community. She’s convinced the digital revolution is a precious tool to help Africa to promote its capacities. Former Student of the Institut universitaire de technologie de Vannes and Epita, Kwame is the cofounder of the Ecole42, a private and free computer programming school co-created by Xavier Niel (Founder of Illiad) with several partners including Nicolas Sadirac and Florian Bucher. 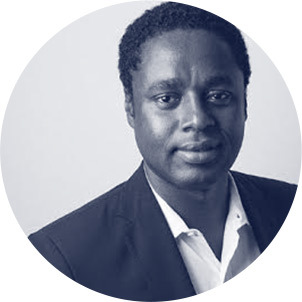 Before 42, Kwame was an executive of Epitech, and worked as entrepreneur in Computer Sciences. Interested in social entrepreneurship, he supported the creation of the Web@cademie, launched by Nicolas and François Benthanane. The school aims to get back on the track of the University non-graduated students, who love Code and Computer Sciences. Son of a French-togolese politician, Kwame knows how the future of Africa and its place in the international world can be changed. A former student of the Ecole Polytechnique de Montreal (Computer Engineering), Karim SY soon released his innovative entrepreneurial talent since university. It will bring him to successfully being involved in many Business projects in Canada, Mali , Senegal, Dubai and France. His international DNA and activities brings him to works with 20 african countries. Pioneer in various digital projects, Karim is an entrepreneur and digital activist around innovation. He is the founder and chief catalyst of Jokkolabs. He is an active player of the emergence of the African innovation and entrepreneurial ecosystem with the launch of one of the first innovation hub the 10/10/10 in Senegal (now 8 countries including France), the organisation of new format of event and meetup (startup weekend, Mobile Monday, GEW, etc.) and supporting different tech communities. 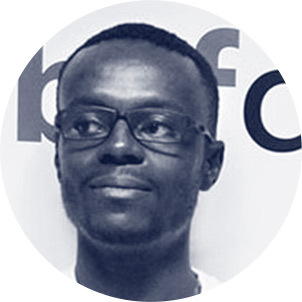 FOSS activist, he was board member of FOSSFA (2012-2014) and is currently partner of the software company Maarch SAS (France) and chairman of Maarch West Africa SA based in Dakar (Senegal). 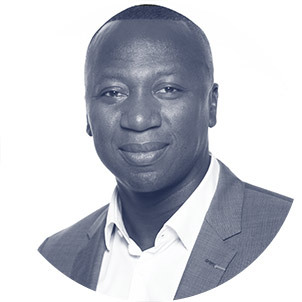 Karim SY is a founding member and executif of OPTIC the main IT organisation of Senegal since 2003, was VP of the IT/BPO cluster – Accelerate growth strategy (Senegal Prime minister cabinet), member of the Council Trade Point Senegal. In march 2015 he elected by his African peer chairman of the west african public-private platform for the Global Entrepreneurship Congress Johannesburg, 2017.He is elected Ashoka Fellow in 2012, the largest network of social entrepreneurs worldwide. In 2013, Jeune Afrique Magazine futured Karim SY as one of the 25 leaders of tomorrow for francophone Africa. Villani was born in 1973 in France, where he studied mathematics at École Normale Supérieure in Paris, from 1992 to 1996. In 1998, he obtains a PHD with a thesis on the mathematical theory of the Boltzmann equation. From 2000 to 2010 he was professor at École Normale Supérieure de Lyon, and he currently teaches at the Université de Lyon - Claude Bernard. He was also a visiting fellow professor at various universities, such as Atlanta (1999), Berkeley (2004, 2013) and Princeton (2009). 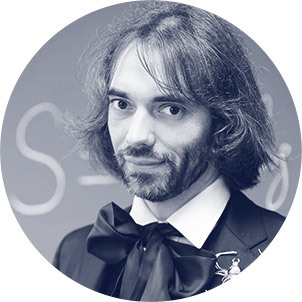 Since 2009 Villani is the director of the Institut Henri Poincaré in Paris and he coordinates the Laboratoire d’Excellence CARMIN, devoted to mathematical exchanges. Since 2010 he is involved in the Next Einstein Initiative program (African Institutes of Mathematical Sciences, founded by Neil Turok) as partner, teacher and member of the Scientific Board. He is also Chairman of the Scientific Board of the Center of Excellence in Science and Mathematics based in Benin (Cotonou), funded by the World Bank. He has also published over 50 research articles and wrote several books. He is chief editor of the Journal of Functional Analysis and member of the editorial board of Inventiones Mathematicae, among others. Cédric received several national and international prizes for his research, in particular the Fields Medal, awarded at the 2010 International Congress of Mathematicians in Hyderabad (India). 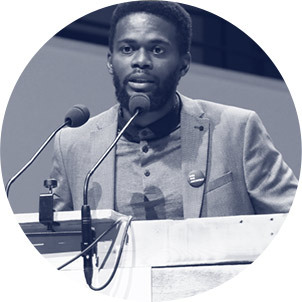 Architect and anthropologyst, Sename Koffi Agbodjinou is creator of the collaborative research platform 'L’Africaine d’architecture' and founder of the fablab and grassroots Togolese incubator "WoeLab" in which he helped launch the dozen shared startup of the #silliconvilla program. Born the 8th February of 1980 in Lomé, Sénamé Koffi Agbodjinou is an architect and an anthropologist. After a long experience in the humanitarian construction, he created the platform, L’Africaine d’architecture, which ambition is to propose an alternative architecture which will valorize the local canons, the dynamics and the resources of the place. In particular, he is the architect, (2006) of the Tammari School. This school is built for 200 children, made with earthen and varied technics, with the help of the local population and the Tamberma builder. (North of Togo, UNESCO heritage). He became the defender of a ‘numerical vernacular’ in 2012 when he discoverd a link between the “Hacker Ethic” and the values of the traditional african societies. He has elaborated the concept of #LowHighTech to underline it and to imagine a new kind of innovation which will include humble people. The project of “smart” and vernacular city, HubCity, the grassroot incubator WoeLab and the W.Afate (first 3D Printer done with e-waste) are the best ambassador of this vision of the society. Sénamé is the Director of the WoeLab (First African Space of Technologic Democraty), which became an atypical place, the only one in Africa which allowed the combination of intelligency and the intermingling of population. He is the mentor of a community composed of 30 very young residents. All of them are part of the 12 compagnies borned in the WoeLab in the context of the program #SiliconVillla. Another program #3DPrintAfrica allowed new technologies to enter inside the schools of the area with the will that the Africa will be a part of the ‘next Industrial Revolution’. 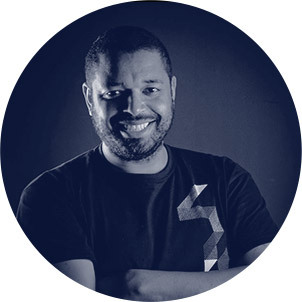 Co-founder and co-director of the creative content agency Entrecom, Xavier Cazard has for 20 years worked on digital communications strategies for the European Commission, BNP Paribas, Orange, Volkswagen, Benamor (Algeria) or Chaabi Bank (Morocco). His expertise is built on a first career as a freelance journalist for the Figaro or France TV where he covered stories on Sudan and Lebanon. Xavier is a 1988 graduate of IPJ-Dauphine Media and vice-president of its alumni association. He has authored publications including the Writing Guide, 7th edition (Entrecom Editions) and the White Book of Business Journalists (Ujjef). Active listening and creativity are at the heart of his approach and benefit the outreach of the Africa-4-Tech project. 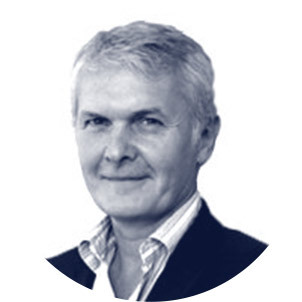 A lateral thinker and successful serial entrepreneur, Claude is the founder of TRACE. He is also the founder of TRUE Africa, a media tech platform. In February 2003, Grunitzky and two business partners completed a multimillion-dollar financing deal led by Goldman Sachs Group. TRACE, which now reaches more than 80 million people across 160 countries, was successfully sold to a French investor group in July 2010. Raised in Lomé, Togo, Washington, DC, Paris and London, Claude speaks six languages and carries three passports. His exposure to so many cultures has shaped his transcultural philosophy and informed the creative energy of his entrepreneurial ventures. 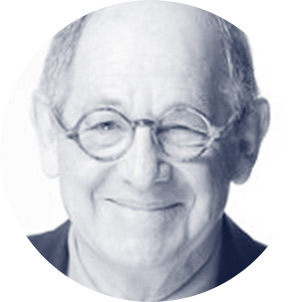 Claude is the author of the book: “Transculturalism: How the world is coming together.” An innovation advisor to government heads and mentor to more than 30 entrepreneurs and intrapreneurs at some of the world’s most admired companies, Claude is an MIT Sloan Fellow. 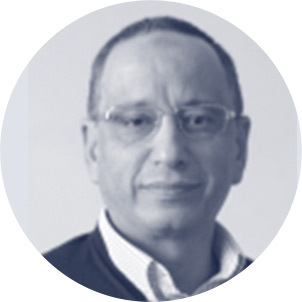 Adnane Remmal is Research Director in Biotechnology at the University Sidi Mohamed Ben Abdellah of Fès, Morocco. Adnane is the winner of the Innovation Prize for Africa (IPA) 2015 Grand Prize. His innovation, a patented alternative to livestock anti-biotics, is set to transform the broader medical and agricultural sector in Africa. The natural innovative anti-microbial formula reduces health hazards in livestock, preventing the transmission of multi-resistant germs and carcinogens to human beings through consumption of milk, eggs and meat. Isis Nyong’o is a Kenyan American media and technology leader in Africa. She is a principal at strategic advisory firm Asphalt & Ink. Branded as one of "Africa's Top 20 Youngest Power Women" by Forbes, Isis has made her mark scaling media and digital businesses across the continent over the past decade. As MD of Africa for InMobi, Isis quickly became recognised as a global thought leader on mobile advertising in Africa. Prior to InMobi, Isis specialized in mobile and local content partnerships at Google and led MTV Network's commercial entry into Africa as a founding member of that team. Isis has been named as one of the top 40 women under 40 in Kenya for several years as well as shortlisted on the Forbes Top 20 Youngest Power Women in Africa, on IT News Africa’s Top 10 Women in ICT and Africa’s most powerful women in tech 2013. 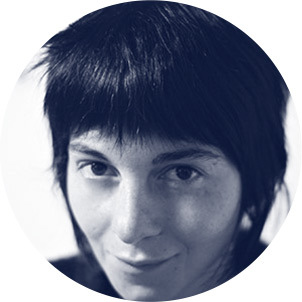 Primavera de Filippi is a researcher at the CERSA as well as an associate researcher of the Berkman Center for Internet & Society ( Harvard University) where she analyses the legal implications of shared architecture. Her research focuses on legal challenges brought up by “blockchain” technologies, such as Bitcoin, Ethereul,ect_and how these technologies can be used to create new framework of horizontal governance to foster collaboration and participative decision making. She graduated from the Bocconi University of Milan, Berkley and the European Institut of Florence where she got her doctorate from. She is a member Global Agenda Council on the Future of Software & Society at the World Economic Forum (WEF), as well as the founder of the Dynamic Coalition on “blockchain” technologies ( COALA). Asmaa AZIZI is a researcher and a teaching assistant in Paris Sorbonne University. She holds a Phd from CELSA (Sorbonne University) in communication sciences and a MA degree from Ecole des sciences de l’information (Rabat, Morocco). Her research interests are about diasporas, social media and « traditional » media of the MENA region. She published several papers and book chapters on these topics. Dr. Rachid Yazami, a native of Fez, Morocco, received his MS in electrochemistry and PhD in graphite intercalation compounds for lithium batteries at France’s Grenoble Institute of Technology, and then began his career at the Centre National de la Recherche Scientifique (CNRS), also in Grenoble, where he rose to research director. He has been a visiting associate in materials science and chemistry at Caltech, in collaboration with JPL/NASA, for 10 years, and in 2010 joined the Nanyang Technological University (NTU) in Singapore as a visiting professor in materials science. His current research addresses lithium batteries and “beyond lithium” future battery technologies, including liquid anode alkali metal-air and fluoride-ion batteries. He is a founder of CFX battery, Inc. (now Contour Energy Systems), a primary and rechargeable lithium and fluoride battery start-up in Azusa, California; director of energy storage programs at the Energy Research Institute; and principal investigator of battery research at the Campus for Research Excellence and Technological Enterprise (CREATE) Center for Electromobility, jointly managed by NTU and the Technological University of Munich. In 2011 he founded KVI PTE, Ltd., a start-up in Singapore dedicated to battery life and safety enhancement for mobile electronics, large energy storage, and electric vehicle applications. Rachid is the recipient of the 2014 Draper Prize and a Member of the Moroccan Academy of Science and Technology. Co-Founder and President of Baby Lab the first Ivorian " Fab Lab" connected to the network of the Fab Foundation of MIT. Guiako is a computer scientist who worked for several years in the field of geolocation. Chairman Emeritus and Founder of Mobile Entertainment Forum; Co-founder of Zomba Music Group (London). Ralph Simon is regarded as one of the founders of the modern mobile entertainment industry. Over the last decade he has been a global trailblazer and innovator, playing a central role in the growth of the global mobile entertainment & content industries. 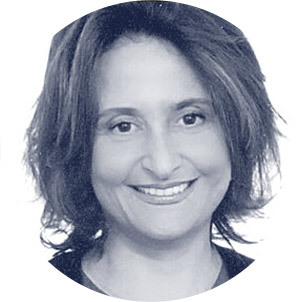 Only a few month ago, Ghita Lahlou, became the head of the new Central School of Casablanca, a prestigious Parisian School from which she herself graduated with an Engineering degree in 1994. She starts her carrier at Arthur Andersen as a consultant than becomes Altair Technologies Financial administrator director. In 1994 she decides to go back to Morocco where she joins ONA ( Omnium North Africa) . In 2001 she joins the Saham Group where she manages several branches such as insurance, offshoring and health.